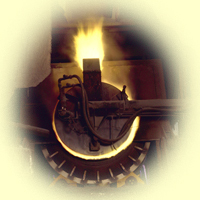 Greenway Industries incorporated in 1997, was spawned from a 55 year old non-ferrous scrap metal processing and trading company, Central Machinery & Metals. Steeped in management experience, we set out to fill a void in the rotary reduction business throughout Ontario and the U.S. Northeast. To this date we have successfully completed this goal. When establishing Greenway Industries, we decided that cutting edge technology would translate into better yields and therefore happier customers. To help this effort, we run an Oxygen-Fuel system. This system gives us a hotter flame with fewer emissions and a decreased cycle time compared to conventional oil or gas burners. Greenway has two back tilting Rotary Furnaces (one 10 000 lbs. and the other 27 000 lbs). All controls are computer assisted and monitored. This gives our crews the necessary information to maximize your metal recoveries. Our 27 000 lbs furnace is the pride of the fleet. Commissioned in 2000 this furnace, in addition to the above mentioned points, boasts a sealed door. This feature enables us to control the environment in the drum. The tighter the seal, the less oxidization of your metal which, again translates into better yields. As of December 2005, Greenway will have completed yet another expansion. 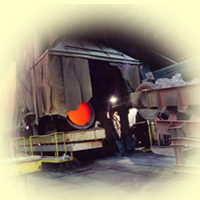 By this time our 10,000 LBS rotary furnace will be scrapped out and replaced with another oxy-fuel back tilting rotary furnace. With the completion of this addition Greenway will boast a monthly capacity of some 12 million pounds per month. At Greenway we are environmentally conscience, as it is not only the law but our also our method of operation. 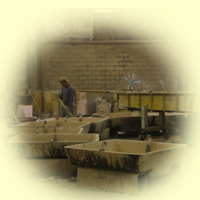 Our manufacturing facility boasts the ability to store both raw materials and finished sows indoors. This eliminates any worries of ground water contamination from leeching, while guaranteeing dry sows. All salt cake is containerized and shipped by licensed carriers to certified landfills. Both furnaces are vented through properly rated baghouses. A rigid maintenance program on all equipment, with good housekeeping practices rounds out our approach to efficient operations.